Postnuptial Agreements & Amendments. Quick Download. Popular - Postnuptial Agreements and Amendments for use by couples who are already married. A Postnuptial Agreement details how assets will be distributed in the event of death or divorce. Also included are Amendment and Termination agreements which will effectively change or terminate an existing postnuptial agreement. When many of us hear the phrase “postnuptial agreement,” the question that comes to our mind is simply, “don’t you mean prenuptial agreement?” Well, that’s a good point. Even though we handle a lot of different forms here at FindLegalForms.com, we know just how popular the prenuptial agreement is in the public parlance. But a postnuptial agreement can also have a big effect on your life, helping to guarantee your better future financial security as well as arranging for a post-wedding life. If living a smooth post-wedding life sounds like a good idea to you, it will come in handy to learn a few things about postnuptial agreements. In this article, we’ll steer you through just a few of the common pieces of these agreements to give you an idea as to how they’re handled and how you can immediately proceed with taking care of your own postnuptial life. Typically, a postnuptial agreement begins with a few elements. 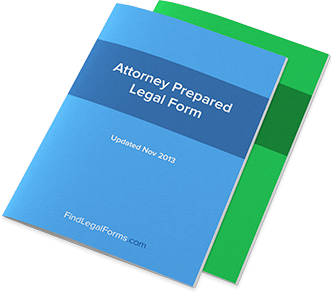 These elements include the offer, the acceptance, and the consideration portions of the legal form. Quite simply, these elements will establish the context (and approval) of the overall agreement, defining what the agreement pertains to, and who agrees to it. Obviously, both members of the marriage will need to sign this postnuptial agreement in order for it to remain valid. Additionally, both members of the marriage will need to agree to the content laid out in these early portions. With the standard requirements of a good contract – such as that the contract is written and that both parties truly agreed to it – these postnuptial agreements do indeed carry the weight of law. Because of the cultural emphasis on prenuptial agreements, many people tend to think that postnuptial agreements don’t carry the same weight. Certainly, the differences in laws pertaining to contracts before and after a marriage might have an effect, but don’t forget that this contract is still a contract between two people and is therefore ironclad in many cases. Many people underestimate just how highly sought-after these agreements can be. Postnuptial agreements might take a back seat to prenuptial agreements in the common parlance, but people should remember that it’s never too late to write up a contract that could ensure a smooth life for you and your spouse. Of course, high divorce rates typically mean more demand for agreements like pre-and-postnuptial contracts. But that’s part of the legal landscape we live in today; divorce is seen as a common way “out” of a marriage. Though this can cause a lot of headaches for both parties involved, legal preparation can be a necessary way of protecting yourself from the negative consequences of a bad divorce. That’s the point of postnuptial agreements: remember that it’s not too late to make agreements with your spouse pertaining to the legality of your marriage. You might feel awkward bringing it up, but you might be rewarded in the long run.